14Kt Gold Filled Black Opal Triplet Wire Wrap Pendant 14 Kt. 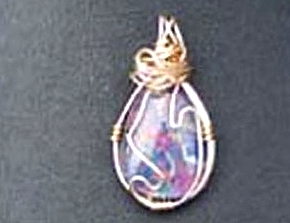 Gold Filled wire wrap slide with killer Black Opal triplet gemstone. This piece is intense! 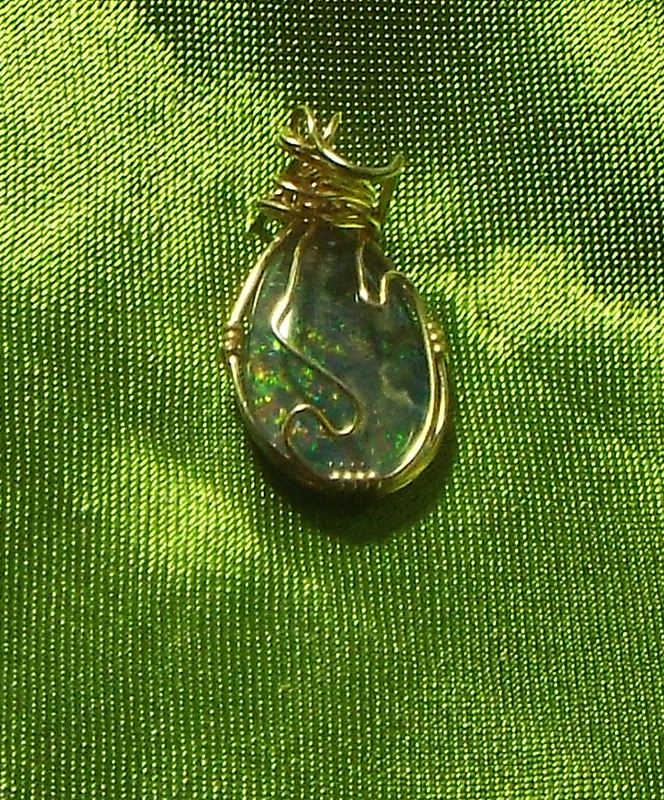 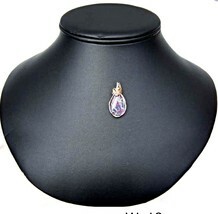 It is a Lightning Ridge Opal and great for anytime wear and is very durable. 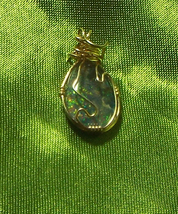 Measures 7/8" wide by 1 1/8" high.